“Il Commissario” has done for south-east Sicily what “Bergerac” did for Jersey, Steve McGarrett for Hawaii, “Wallender” for south Sweden and what “Shetland” is doing for Shetland.TV detectives have become ambassadors. And travel agents. 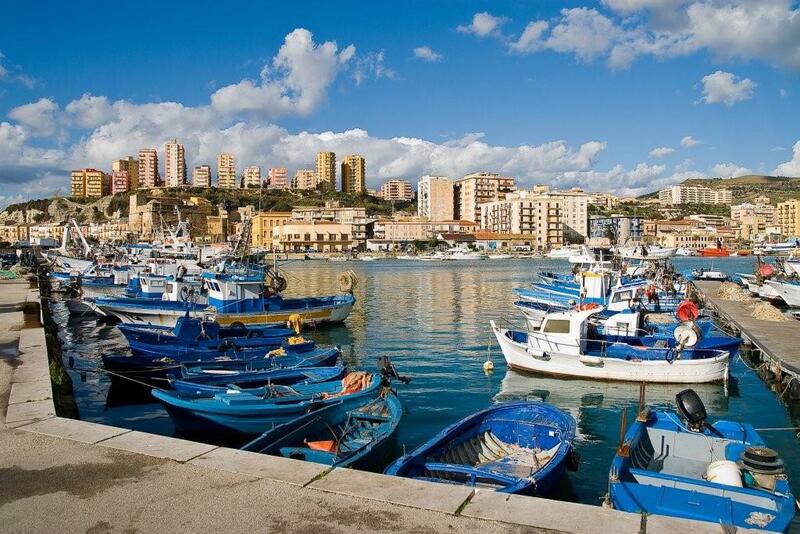 And are bringing in the tourists to visit Inspector Montalbano Sicily locations. 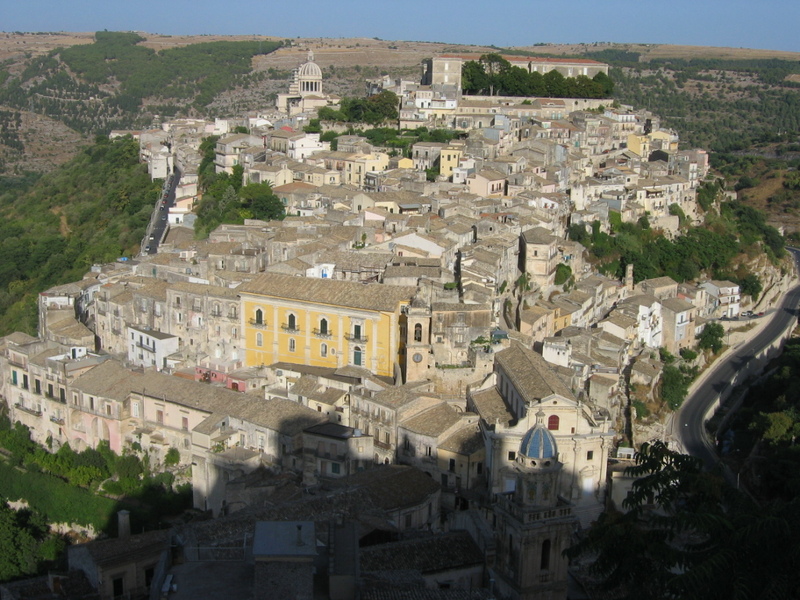 Both share the same locations around Ragusa and the seven other UNESCO-listed showpiece Baroque villages of Sicily’s Val di Noto. Most were rebuilt after the 1693 earthquake. 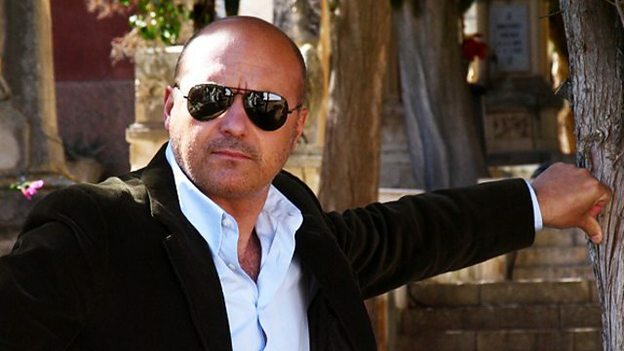 Although the first book appeared was published in 1994 and the first episode aired in 1999, only now have “Montalbano” location tours become popular. Itineraries are being added to all the time. Some now include meetings with extras. My one-day tour started at the five-star “Donnafugata Golf and Spa Resort”, one of six golf courses on island and perhaps the best. 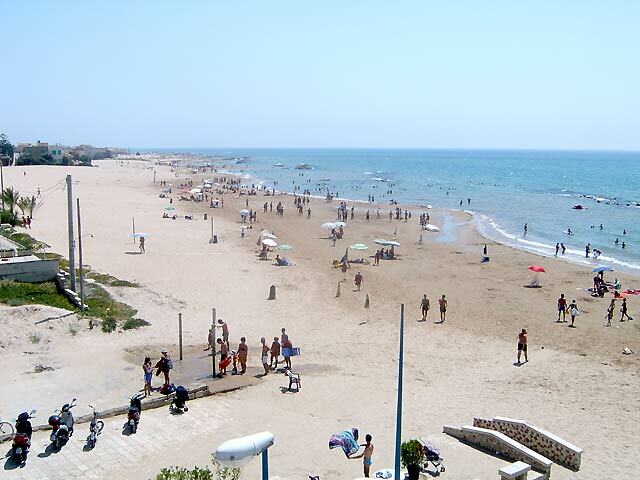 It’s twenty minutes from Comiso airport. Guide Barbara first took me, an Australian lady, a Dutch couple and one Kiwi to the seventeenth century Donnafugata ( “Lady of Flight”) castle used as the lair of Mafia boss Don Balduccio Sinagra. “And don’t forget the horse race in La Pista di Sabbia,” said the male Dutch anorak. “The Track of Sand”. “And the two corpses in the maze in “Excursion to Tindari,” chipped in his partner in Montalbanology. We continued on the Inspector’s beat to Punta Secca (“Marinella”) to his green-shuttered, balconied beachfront house. The Australian lady took off her flip-flops. We dreaded she was about to fulfil her dream of swimming naked as her hero does in the opening sequence. 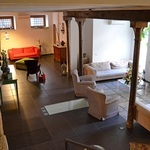 The two-storey casa on the Via Aldo Moro is now the £70-a-night 3-star Casa Montalbano B&B. “It was once used to store sardines,” Barbara informed us. There was silence as if she had stated the obvious. She addressed me directly, identifying me as the only non-pilgrim in the group. And the only philistine. She mentioned Licata as another location. And told us that it was a famous sulphur and asphalt port. “With the third tallest lighthouse in Italy,” said the Kiwi. Smugly. Barbara handed out the bottled water and took us to Scicli ( shi-kli). And its Palazzo di Città or town hall which acts Vigata’s main police station. “In the first series,” said the Kiwi. We stood in various degrees of awe in front of Palazzo Lacono which became Montelusa’s police HQ in the next series. And the office of Montalbano’s boss, Questore Bonetti-Alderighi. The Australian sulked because she wasn’t allowed to sit at the Inspector’s desk. On the steps of the Church of San Giorgio the conversation became a little surreal and rather competitive. 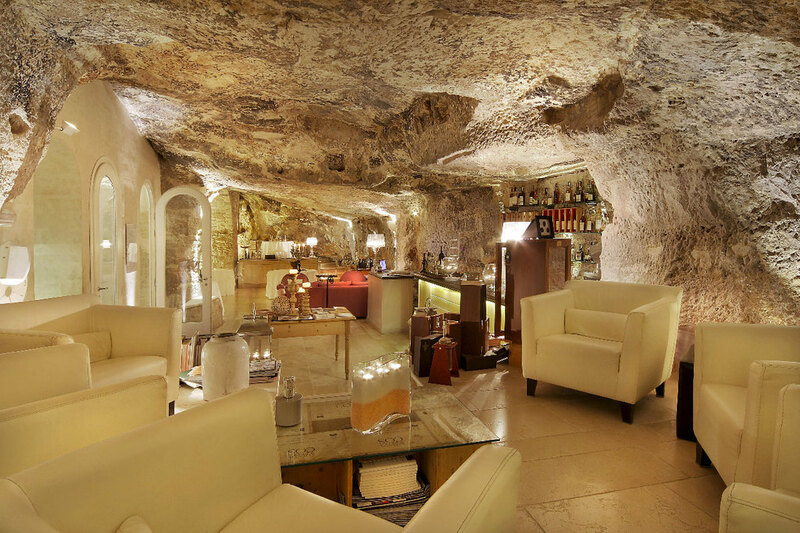 Montalbano-upmahsip is rife in Sicily. “The Voice of the Violin,” said the Kiwi. “The Snack Thief”, added her partner in crime. “The Patience of the Tiger”, sighed the Dutchman , remembering episodes in which the church made cameo appearances. The church boasts five aisles and a five-keyboard 3000 pipe organ. The Australian sulked because we didn’t have time to let her find a house at which the Inspector had made a house call in “The Ray of Light”. Or a tobacconist seen in “The Terracotta Dog”. Travelling on through olive groves, carob woods and more olives groves. The Dutch lady wondered out loud whether this was where they shot the scene of bumbling desk sergeant Catarella picking mushrooms. We couldn’t find it. She sulked. Barbara led on, introducing us to the six pilasters and fluted Doric columns and ornate ballroom of the neo-classical Circolo di Conversazione, founded as a social club for the Ragusan gentry. “It’s where Montalbano interrupts coroner Doctor Pasquano’s card game,” whispered the Dutch lady with a knowing nod. “The Scent of the Night,” said the Dutchman. “Didn’t the Inspector visit his housekeeper’s retarded son around here too?” posed the Australian rhetorically. “I think that was Piazza Pola” , said Barbara triumphantly. The Australian pouted. It was time for a breather. The Inspector’s favourite restaurant, the Osteria of Don Calogero, is, in fact, “La Trattoriia Rusticana” on Corso XXV Aprile. 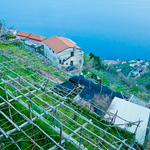 The best restaurant in town is the Michelin-starred “Locanda Don Serafino” on the Via Orfanotrofio. It’s a former stable. We sat under vines and listened to the Dutch couple remind us that we were sitting where the Inspector introduced Mimi to his future wife. “ La gita a Tindari,” said the Australian lady attacking her grilled sea bass with blood orange orange salad. The rest hadcasareccia ( home-style), caponata ( sweet ‘n’ sour vegetables) and “Lolli coi favi”, pasta with broad beans. I chose priest stranglers. Otherwise known as “strozzopretti” pasta ribbons. The Dutch lady didn’t eat much. As she seemed to have swallowed the whole DVD boxed set. After our cassatas and peppery stretched ewe’s milk “caciocavalle” cheese on horseback and “afforgato” -Espresso with a shot of Amaretto and a scoop of vanilla- we discreetly added our names to the wall. The cast had signed their’s. It was a long, late lunch. 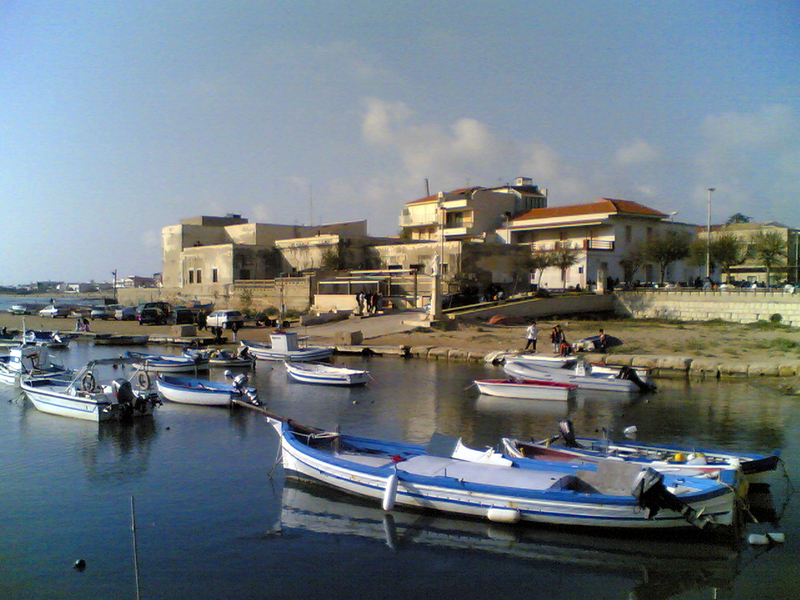 After a team siesta in transit, the tour ended in what Barbara called “Deadly Mannara”, a sort of Midsomer Norton of Sicily. Where many murders happen. The last photo opportunity was at a gutted brick factory, allegedly burnt down by the Mafia. The “Fornace Penna” in Sampieri starred in the show. “It was used as a tuna factory,” said Barbara. The Australian lady wrote that down. We walked along Donnalucata beach, eating ice creams. Barbara was on chocolate and I was on fennel. The others had chosen rose petal and jasmine. We returned to the hotel. The Australian lady disappeared to post her photos on the official fan club Facebook page. Before saying “Ciao”, the Dutch lady told me that Luca Zingaretti is fifty-three and a Scorpio and a Roman and his brother is a politician. Her husband said he fancied a coffee and cannoli – the Inspector’s favorite fried ricotta-filled rolls. But the Kiwi got the last laugh. And said he was going to find some “Aracini siciliano”. Another favourite of “Il Commissario”. Montalbano fans certainly know their onions. 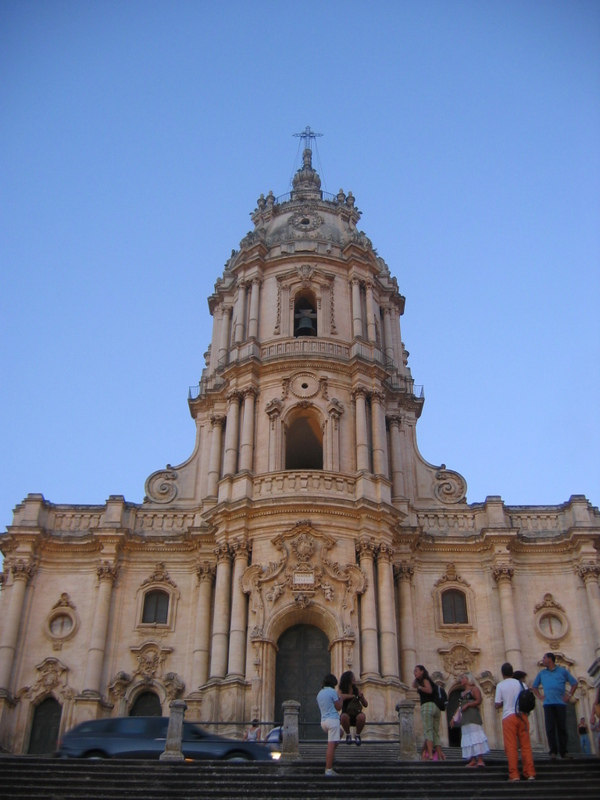 How do I get to experience Inspector Montalbano’s Sicily? easyJet flies regular services to Palermo from the UK.